Bracket and wire free, ClearCorrect® is more comfortable and much less visible than traditional metal braces. 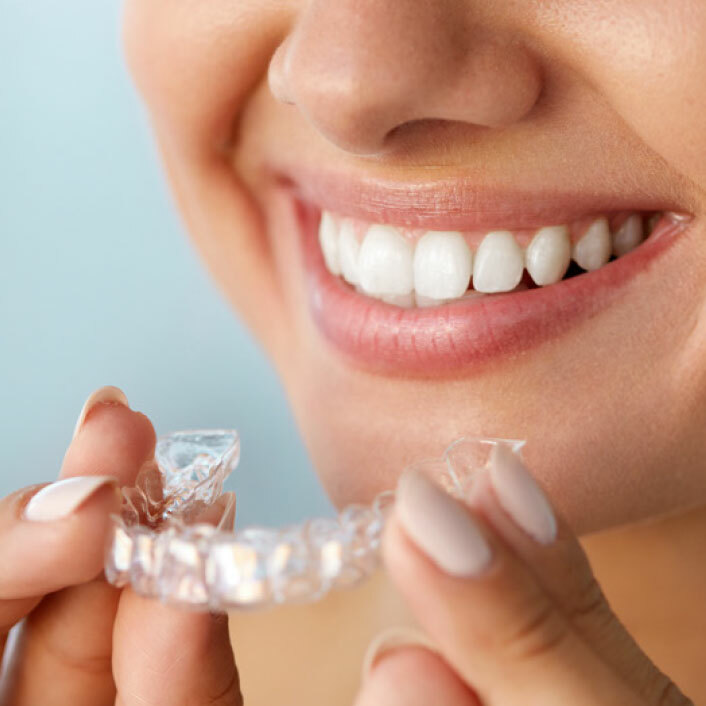 After a consultation, the patient will receive a set of custom-designed removable aligners to be worn in a particular order and for a set amount of time to gradually shift the teeth and achieve a straighter smile. ClearCorrect® provides a beautiful and straighter smile. Because the aligners are removable, they can be taken out for eating, drinking brushing and flossing. Upon completion of treatment, the patient will receive a retainer to maintain their new smile. Ask us about ClearCorrect® to see if it is the best option for you. Cost and treatment time vary from case to case. We are happy to answer any questions regarding insurance coverage, pricing and treatment details.